The YBB-201 is an excellent alternative when budget is a strong consideration. It offers a large "pro-sized" bell and features a rich strong sound. It is easy to play and has accurate intonation. Hand-lapping is a time-consuming finishing process which results in superior valve fit for noiseless, responsive action and easy tone changes. Hand-lapping achieves the perfect balance between airtightness and smooth action. The excellent intonation of the YBB-201 helps to foster a feel for correct pitch in beginning players. 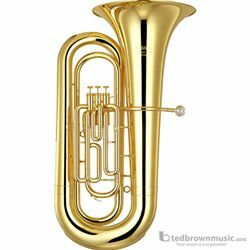 The responsiveness of the YBB-201 assists beginning players in learning the phrasing of the tuba.